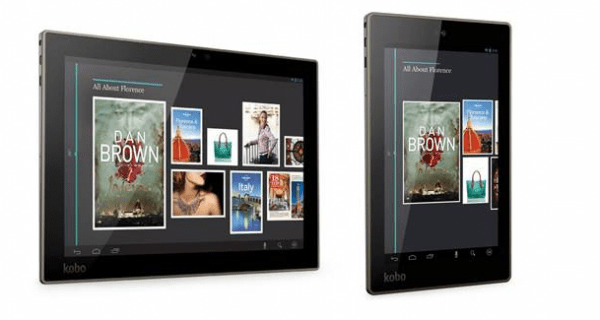 Kobo, following their e-reader success are now moving into the world of tablets as well, by announcing the ARC 10HD and 7HD tablets. Much like their main competitor, the Kindle’s Fire, the UI has been built around their own UX, called Reading Life, and it enables the collection, curation and discovery of content. Along with the 4 million titles, the tablets now include magazines, and this is all delivered to you through their beautiful and highly responsive HD displays, running on Android 4.2.2. The company has already signed up with various magazine publishers as well to show case their titles on the device. The Kobo ARC 10HD runs on NVIDIA Tegra 4 1.8GHZ processor, with 2GB of RAM. This 10″ display boasts a 2560 x 1600 display, giving 1080p video playbback. It includes a front facing 1.3MP HD camera, and dual stereo speakers, Bluetooth 4.0 and Miracast connectivity for WIFI Streaming. With reading mode, the 9.5 hour battery life is extended to more than 10 days. It even features a micro HDMI port to let you view items on bigger screens. Available from today, for £299.99. Much like the bigger brother, the tablet runs on NVIDIA Tegra 3, with 1.7 GHZ Quad Core processor, and a 1920 x 1200 display, giving you 1080p video experience. It features 1GB of RAM, a front facing 1.3MP camera, and a battery that lasts up to 8 hours. This retails for £159.99 for 16GB version, while the 32GB version if £189.99. Both of the above are available from WH Smith as well as other retailers from today.